Hey friends! Alleah here to give you all the shop updates! ;) How exciting! We’re so close! Things are really happening! This is me smashing through a wall inside the shop! Construction is speeding up around here and each visit to the shop brings new changes and excitement. The outside of the building has been painted! And we have heat! The Greenhouse is enclosed and drywall is going up. Our outdoor stage has been poured, and so have the sidewalks and porch. The big question on everyone’s mind is, “When will the shop be open?” Well folks, it’s looking like February now. We are hoping to be open from 6am-7 or 8pm, Monday through Friday and most likely staying open later on the weekends. The shop! Photo taken on December 8, 2018. Our team is learning a lot about delays and patience. We have learned that it’s okay for things to go slow because that means they are done right. We are happy to have a little breathing room to make sure we can perfect things on our end. We have also had the opportunity to chat with the community and get to know their wants and needs. We love hearing from you! Here is a picture of our community comment board at our last festival. The community had a lot of great suggestions! The Greenhouse is up! Lots of folks are wondering what The Greenhouse will be used for. We are excited to share that it will be used as a community space. Think of this place as an all-purpose space for events, workshops, classes, poetry readings, music and more. The greenhouse will also host our coffee roasting facility. Our coffee partners, Gooseneck Coffee Co , will roast all their tasty beans there. We can’t wait for you to get to know them! Here is our beautiful greenhouse space! We can’t wait to share it with you! We are excited to keep working as hard as we can to get the shop ready to open! In the next 2 two months we will be working on the process of workflow, training and hiring. We will also be planning the final touches of the shop such as the menu design. We will start planning events for the greenhouse as well as community events for our outdoor summer stage. There won’t be a dull moment, and we are going to work our asses off. Send good vibes! This year is going to be a big one. We have a full season of events planned and an upcoming brick and mortar coffee shop...with a coffee roasting component! We are very excited to be working on our coffee shop space in Ferndale, Michigan. Located in a cute neighborhood sits a little mushroom shaped building- our new home! We will have indoor + outdoor seating, a kitchen, events space and coffee roasting! 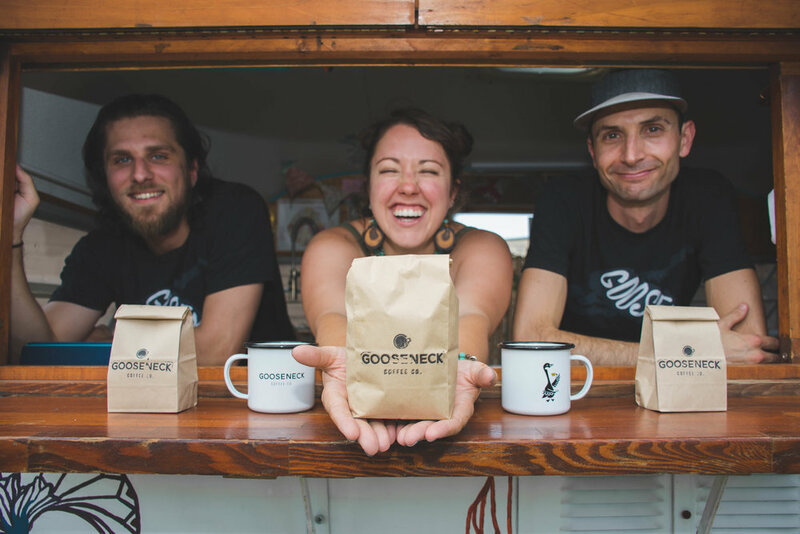 We believe in shared resources and shared spaces, so we are excited to announce our partnership with Gooseneck Coffee Roasting Company! Wooh wooh! 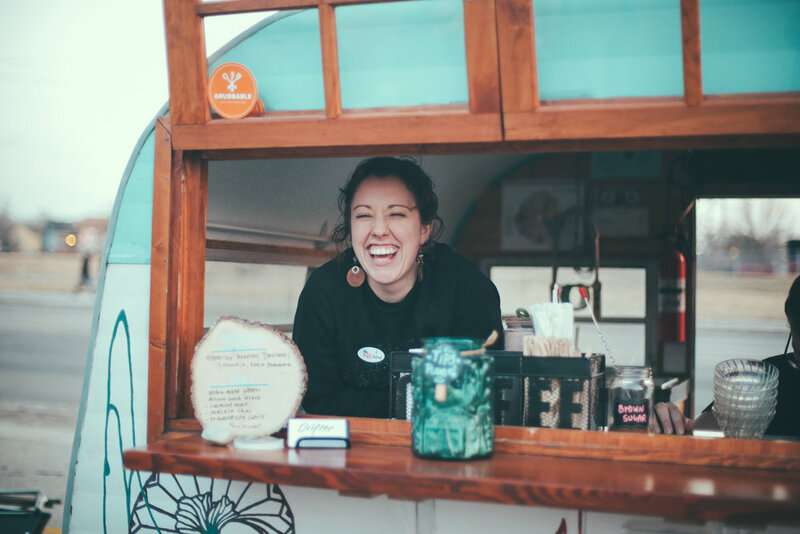 Hailing from Plymouth, Michigan, these guys bring two years of experience and a heck of a lot of knowledge-- plus cool jokes and coffee passion. So look for Noah and Bill in the back of the shop once we open, hopefully this fall. They will have their very own roasting space in the greenhouse! There will be a window into their roasting room so that you all can see the magic. They plan to do coffee tastings and have their beans available for sale. Our house coffee will provided by Gooseneck, and the best part is that they will be training us to roast coffee, too! Drifter house roast will be on its way soon.